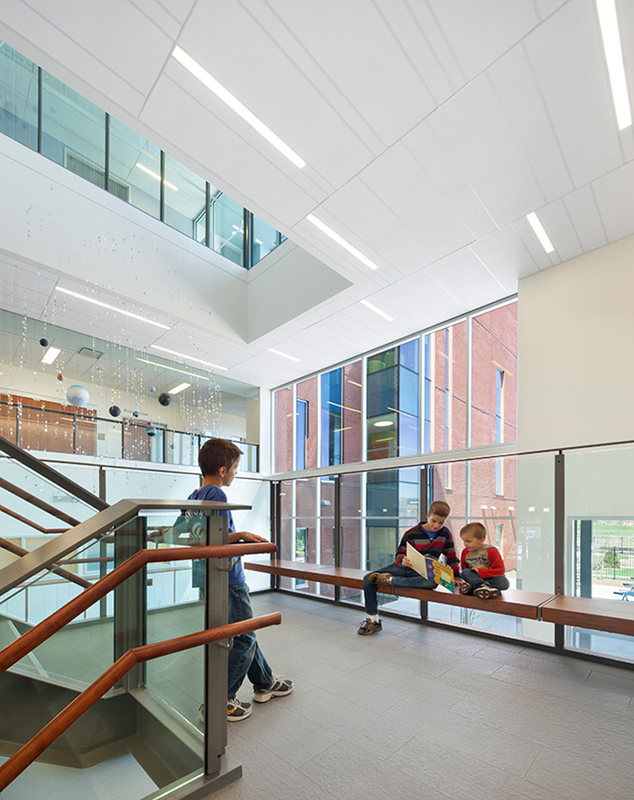 The Ron Joyce Children’s Health Centre is the first of its kind in Canada, offering children and youth with physical, intellectual and developmental disabilities leading-edge therapy, treatment and support under a single roof. 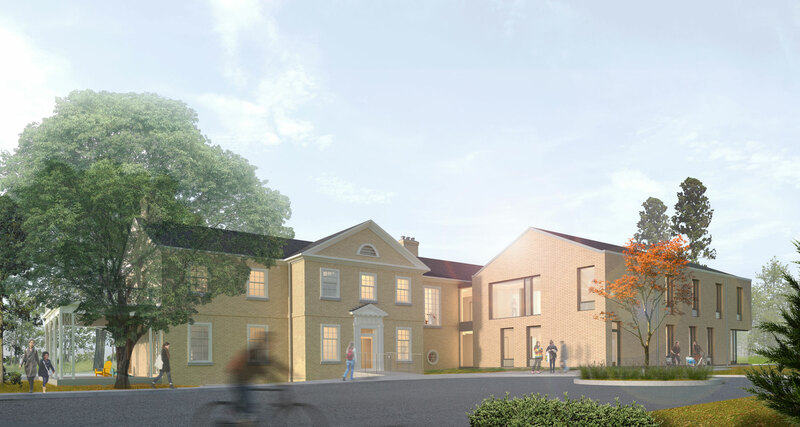 The new, four-storey outpatient building supports over 70,000 clients annually, consolidating services for Autism Spectrum Disorder, Child and Youth Mental Health Program, Developmental Pediatrics, Rehabilitation, Prosthetics and Orthotics. 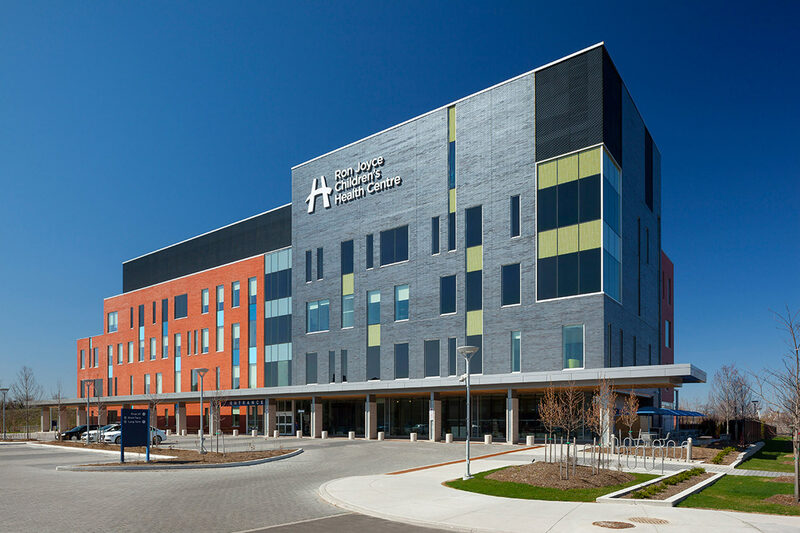 It is a vital addition to one of the nation’s leading pediatric institutions, supporting McMaster Children’s Hospital in delivering a seamless continuum of patient care. The new facility offers important features such as an outdoor wheeling track, therapeutic playground and physiotherapy space. 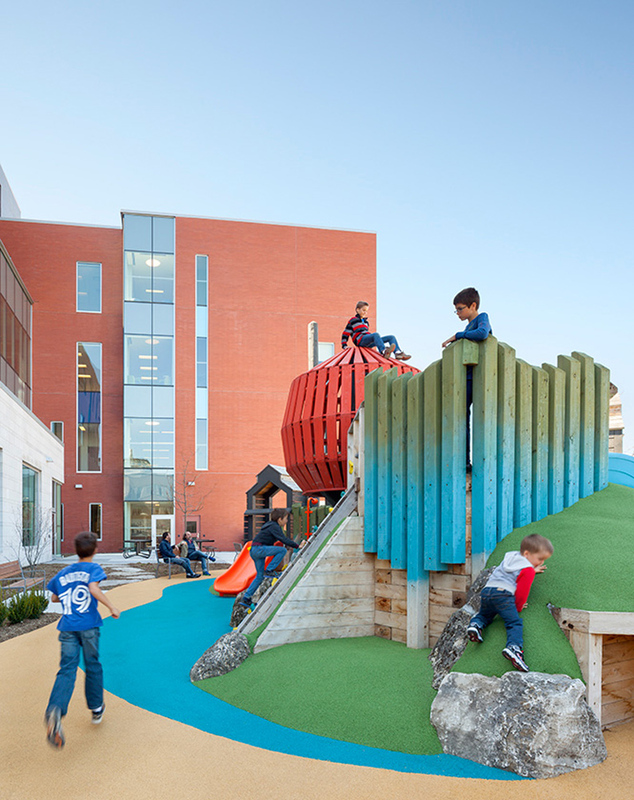 The design strives to normalize an otherwise clinical environment with a focus on creating welcoming, child-friendly spaces. 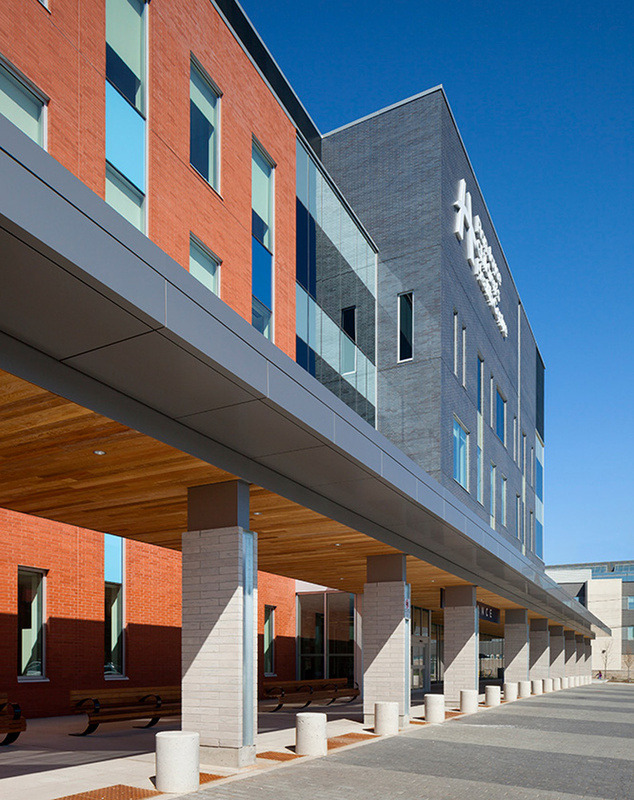 Together with Perkins+Will, Montgomery Sisam completed the Planning, Design and Compliance of this complex P3 healthcare project. 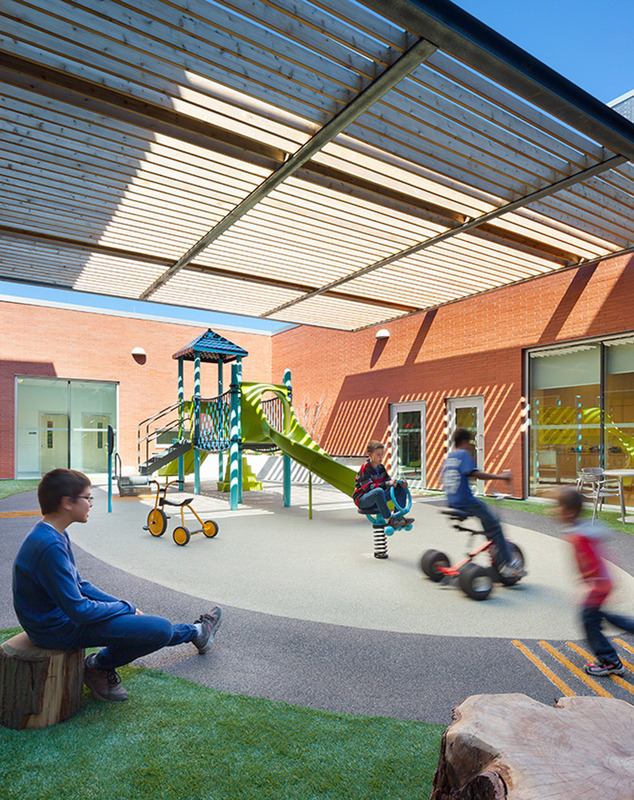 Both the illustrative design and output specification build on considerable user input, emphasizing optimal relationships between different program components, strong indoors-outdoor connections and a scrupulous approach to accessibility. 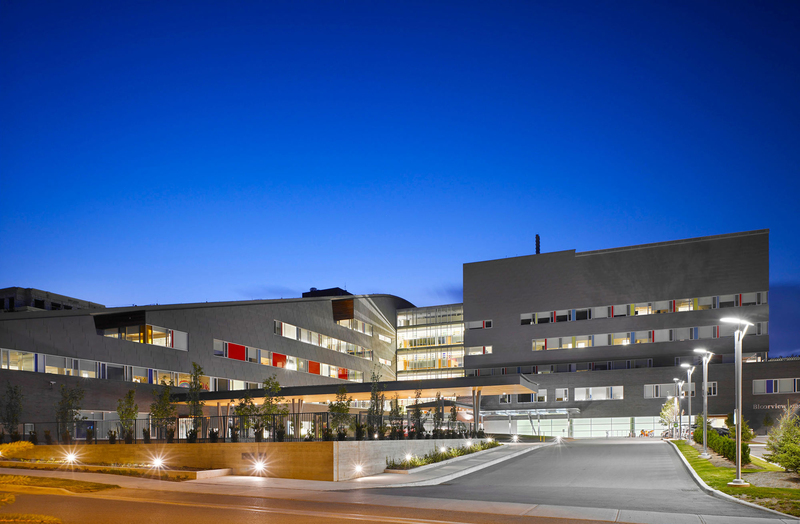 The PDC design team, with careful consideration to site and context, also developed an important framework for the successful integration of the ambulatory health centre into the larger care campus along with strategies for future campus growth. Perkins+Will in joint venture with Montgomery Sisam are the Planning, Design and Compliance architects. Stantec are the Architects of Record.